When you arrive you will be given a scorecard, a nametag and a pen, and the Fastlove compere will explain how speed dating works and answer any questions. Then the dating begins. Usually women will stay seated while men will rotate every 3-5 minutes when the whistle blows. After each date participants mark on a scorecard whether they would like to see that person again. At the end of the evening we collect in the top-sheets of all scorecards. 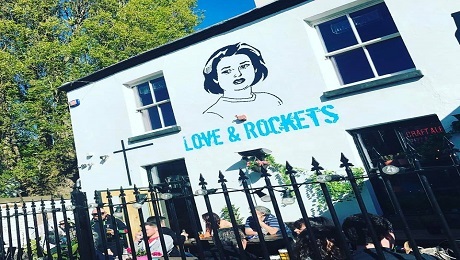 Situated right in the middle of Liverpool's supercool Lark Lane, this bar and restaurant provides a relaxed and informal setting for the events.